This photo was taken yesterday, my last day at home full time with my gorgeous little boy. As this post goes live, I will be stepping into my new office and starting my first day in a new job. I am writing this on the evening of 23rd, sitting in front of the tree with its lights twinkling, and Oliver's Christmas Eve box placed beside it, waiting for us to open in the morning. Normally we'd put our presents under the tree as and when we receive them, but this year it remains completely bare, through fear that Oliver will go after them, just as he does with the decorations! They will all be laid out when he is in bed tomorrow night, so the first time he sees them will be Christmas morning. Sitting here in my festive setting, with a candle burning, and a Christmas tea nicely cooling, has got me feeling all reflective. I can't believe Christmas Day is almost here. I've had the most amazing time being off work this year and enjoying the entire build up with my little boy! Today I thought I'd share with you some of my festive favourites, feel free to share yours in the comments too! If you haven't already, I'd imagine quite a lot of you are going to be driving home for Christmas today. I have to say, that's one thing I've missed this year. That moment when you get in the car, pop on some festive tunes, and think "that's it, I'm done, the holidays can begin now!" I have, though, been listening to Christmas songs for about a month, to get myself in the mood when I started my Christmas shopping! 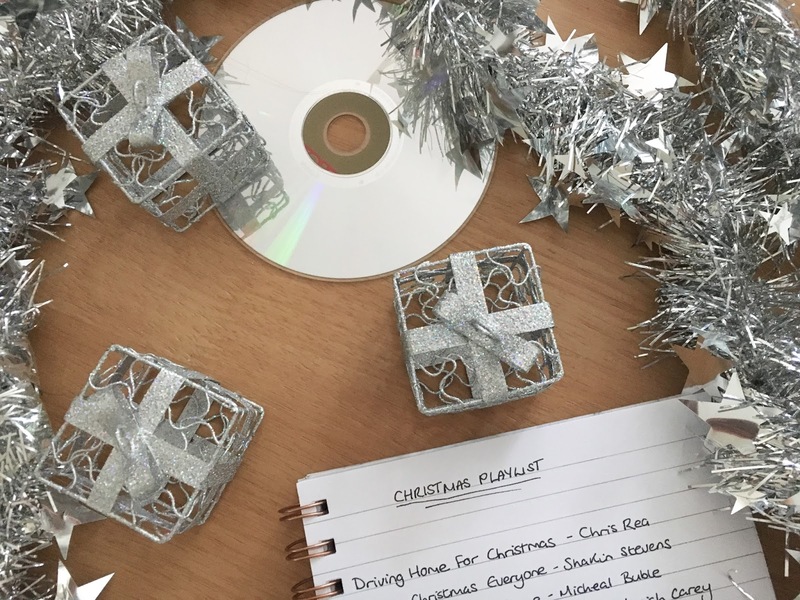 I've put together a list of my favourite Christmas songs to hopefully get you in the festive mood, whether you're finishing work today or not! I'm not one for big nights out at any time of your, but particularly in the winter. I'm much more content snuggling up for a cosy night in at home. It's warmer, it's cheaper, and nothing beats the comfort of your own home, especially in the run up to Christmas with the lights from the tree sparkling. Here's my recipe for my perfect winter night in.